RMC paused on the 99th anniversary of the Armistice, in memory of all those who fell in all wars. The ritual of remembrance is both sweet and solemn. It speaks to the innate consciousness in all humans about the transiency of life, while memorializing that which we hold most precious. 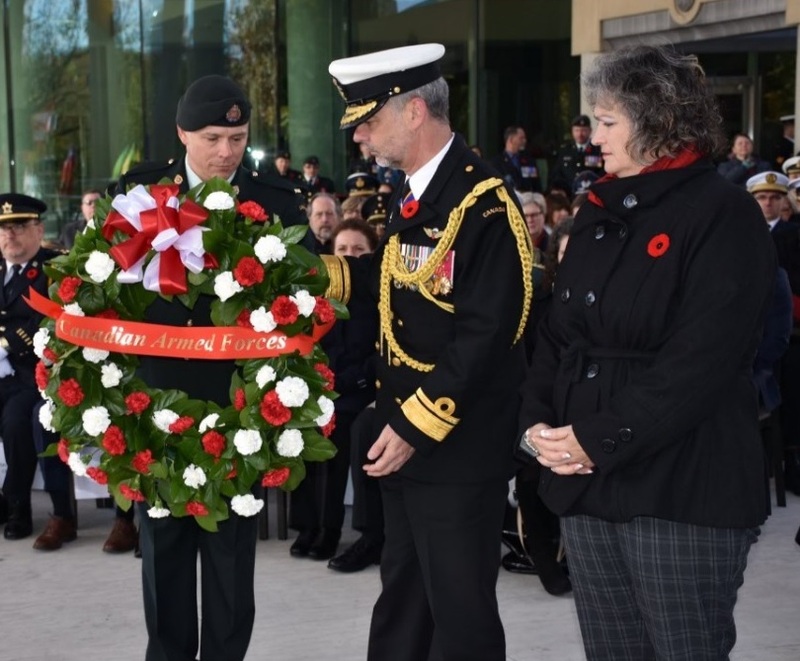 In the case of November 11, this practice is perpetuated among the Officer Cadets and leadership body at RMC and throughout the entirety of the Canadian Armed Forces and Canada itself. On a clear blue and piercingly cold day, while numerous sections were dispersed across the city and province for various services and acts of remembrance, the cadet contingent marched to the Memorial Arch and lingered in the frosty morning through silent moments of contemplation while all that could be heard were the geese skimming across the water. I am grateful that my final Remembrance Day at the college could be here, just like this, with all my fellow band members, wing leadership, peers, mentors, military instructors and leaders, and visiting guests such as Leader of the Opposition Andrew Scheer, all of us alike in our purpose—to put to rest past sorrows yet bring to mind their everlasting impact on the lives of Canada’s service community, past present and future. The poems are read, and they are beyond provoking—benediction is given, and we are united—music sounds, and we are stilled. It can never be enough, but it is all we have, and we vow to give it as long as our country stands. We all know the ceremonial procedures in full detail, can recite the script likely without thought, and yet we will continue to persist in these actions and words, to invoke the power they have to bring once more to mind sacrifice, loyalty, and the peace they have wrought. The Honourable Andrew Sheer and Warrant Officer Chuck Ansell at the reception following the ceremony at the Memorial Arch. 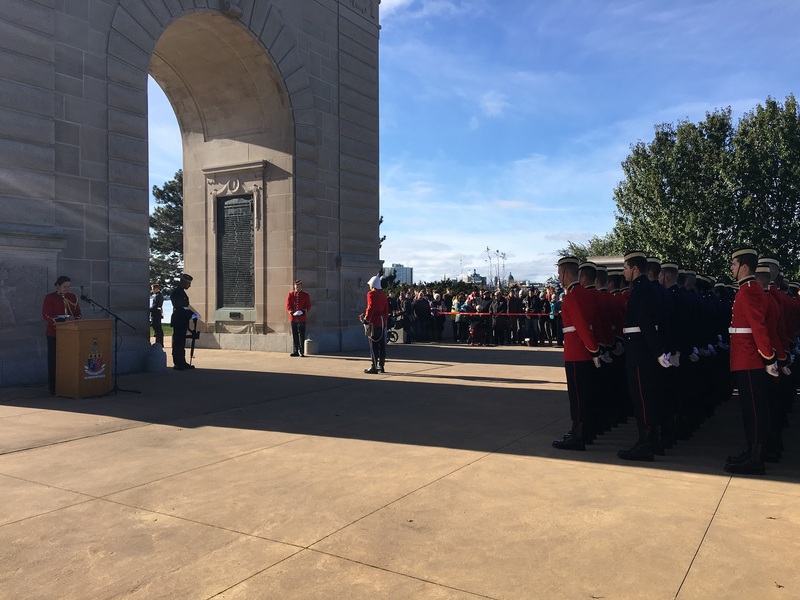 Remembrance Day, Cadets from The Royal Military College of Canada participated in a number of events all over the region to recognize those who have lost their lives in the service of our great Country. One of the ceremonies was held at the Arch. Even though the sun was shining, it was minus four degrees with a light breeze coming oﬀ the water. The Leader of the Oﬃcial Opposition, The Honourable Andrew Sheer, attended the well organized ceremony. He was accompanied the Commandant, Brigadier-General Bouchard, and the College Chief Warrant Oﬃcer, Chief Warrant Oﬃcer Hoegi. 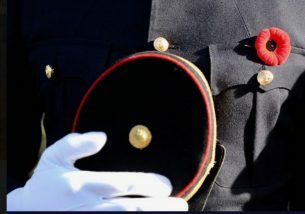 In his address to all members of the Canadian armed Forces, General Vance said “there is no victory without sacrifice, and there is no sacrifice without tragedy”. I sincerely hope that the Cadets on parade don’t have to experience the horrors of war, but if they do, I am conﬁdent that they will be strong like the others before them. It was November 10th and I was on the phone with my sister, Karen, exchanging family news and gossip, when our conversation drifted towards our respective plans for the next day’s Remembrance services, a time very dear to our hearts. For our father, Hal, was a proud veteran of the RCAF during World War II, having served in Europe as a bomb-aimer in the Halifax bombers of 158 Squadron, RAF. As long as he was able, our family would join with him to participate in the service of remembrance at a local cenotaph, and afterwards enjoy the Legion’s modest offering of soup and sandwiches for all, and a free beer for every veteran. On those days, and in the company of other, like-minded Canadians, our family remembered and paid our deepest respect to those service men and women, both living and dead, who had sacrificed so much. Hal died a few years ago, at age 95, and understandably, we find that Remembrance Day is one of the more compelling occasions when we feel his loss most profoundly. But since our family is scattered across the province, and we no longer have the pull of our father to draw us together, rarely do we gather at that tiny Lakefield Legion where he was a member for so many years. Instead, we now tend to remember in our own ways, and in places that have meaning to us individually. As a result, I sometimes worry that I am betraying my family by not drawing them together to participate in Remembrance Day, as Hal used to do, for I am now the only living veteran in my family, and I wonder about my familial responsibilities towards those who have served before me, now all gone. But as I was chatting with my sister, the news she gave me about another family member, of whose existence we had no idea until just a few days earlier, made me realize that I needn’t worry about my family’s collective memory. For she told me she had learned from a cousin about Rifleman Eric Lindsay Garbutt, son of Fred and May Garbutt of Cloyne, Ontario, and a member of our extended family, who had served with the Royal Winnipeg Rifles and the Queen’s Own Rifles. At age 22 he was killed in action on the 8th of June 1944, and now rests at Bretteville-sur-Laize Canadian War Cemetery, Calvados, France. Furthermore, he lies in the same cemetery as Karen’s father-in-law, Private Wilfred Herbert York, Calgary Highlanders, killed in action on the 1st of August 1944, at the age of 26. So why am I writing of this small family matter, as we all consider our own thoughts on the Remembrance Day just past? In addition to adding another family member to our list of father, uncles, a father-in-law, and cousins who served our country in times of war, initially I was saddened that previously we knew nothing of the existence of our relative, and I wondered how many others are lost to us as a family. However, despite that gnawing sense of somehow falling short in my sacred duty to ensure they are remembered, through my sister’s determined research I have been quietly reminded of our collective strength of resolve, as Canadians, never to forget, and I love her for it. Meanwhile Canadians serving in Washington, DC were led by RAdm William Truelove, Commander of the Canadian Defence Liaison Staff and Canadian Defence Attache. Pictured with his wife, Brenda, a very popular ‘College Mom’ during their time while her husband was serving as commandant at RMC. Members of the RCMP in Ottawa are proud of the showing made at the Royal Military College of Canada by two sons of the Force. 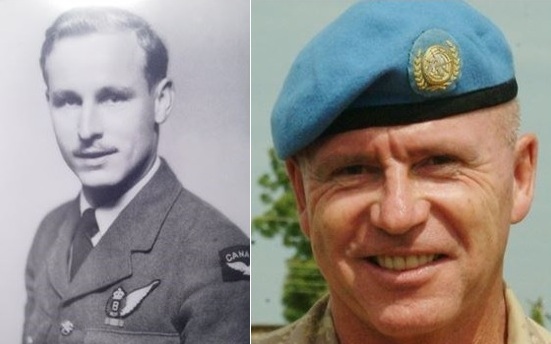 Battalion Sergeant Major Michael D. MacBrien has won the sword of honour for conduct and discipline. 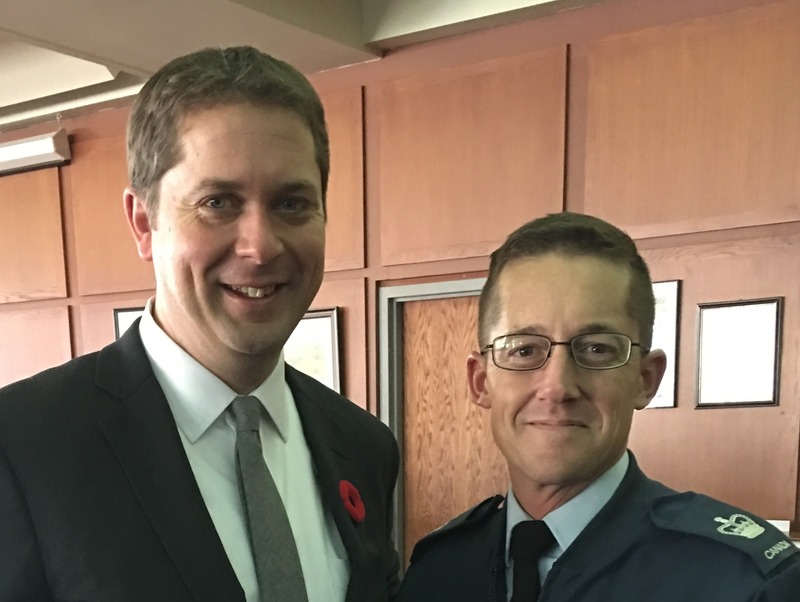 He is the youngest son of the late Major-General Sir James MacBrien, who at the time of his death was Commissioner of the RCMP. Sergeant Donald Zachary Taylor Wood, son of Commissioner S.T. 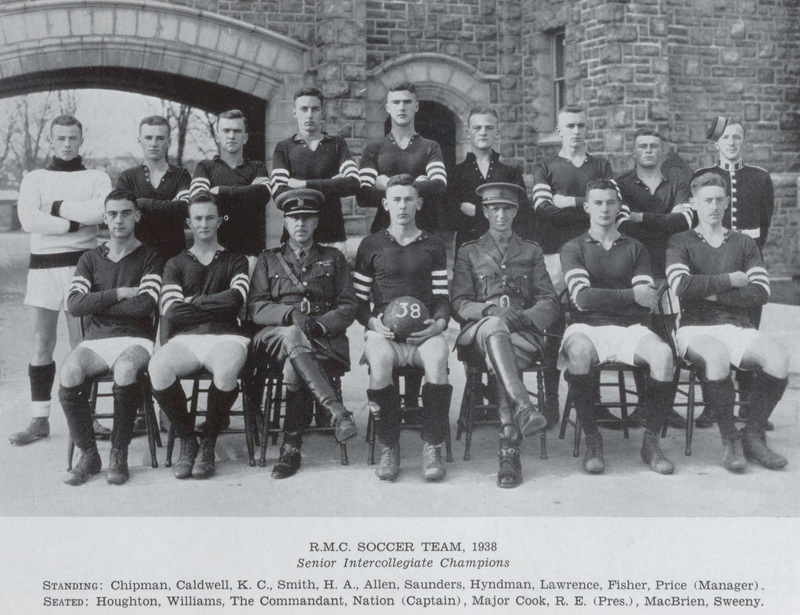 Wood of the RCMP, awarded the gold medal for the highest aggregate marks through the entire course at RMC. He has won all three of the Governor General’s medals, the bronze, silver and gold, as well as other prizes. Note: They would have graduated in June of 1939. 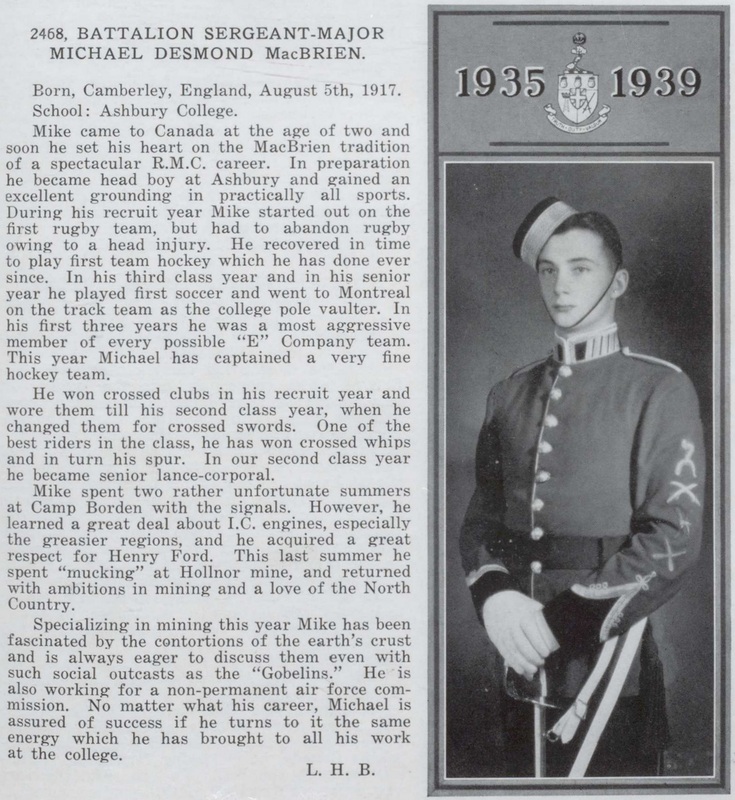 2468 Michael MacBrien served in the RCAF and died in a plane crash January 06, 1941. 2500 Donald Wood also served in the RCAF and died in a plane crash October 14, 1944. 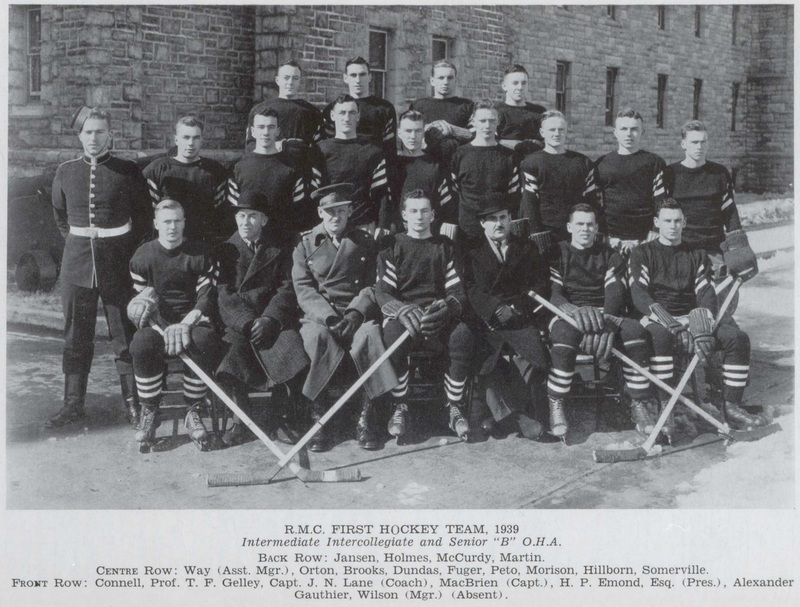 Interestingly, 825 Commissioner Wood was also an RMC graduate (1912). 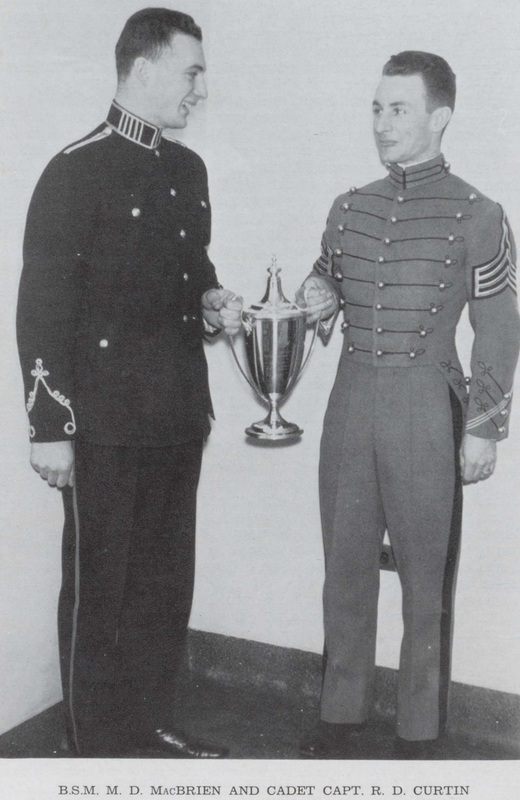 Following are three photos of Michael MacBrien with: the soccer team; West Point photo; and with the hockey team. I am deeply touched by the sentiments and stories gathered together in this article. I am also very proud to have worn the uniform of the Royal Military College. For the past several years I have had the honour of being the chairman of the Manor and Highland Park War Memorial Committee. We are the caretakers of the cenotaph at the corner of Holborn and Briscoe Streets in London Ontario. The first service of remembrance took place here on November 10, 1918, the day before the end of the First World War. This year we celebrated the 100th service of remembrance at this location. Manor and Highland park has always been working class neighbourhood, one of the poorer parts of the city, so it was a bit surprising to learn that our cenotaph was the first in the city. The area was settled mostly by Soldiers returning from the war. They built their houses, the first school for their children, then by having concerts, tag days, and volunteer donations they raised the money to build the statue dedicated to those lost in the Great War. This cenotaph was officially dedicated on May 31 1925, nine years before the main cenotaph in downtown London. We hold our service on the last Saturday in October so as not to conflict with the main Remembrance Day parade downtown. It was a cold windy day with a bit of rain mixed with snow this year reminding me of Remembrance Days past at the Memorial Arch in Kingston. No 614 Royal Canadian Air Force Cadet band provided the music, the bugler and the piper. It was a very solemn moving service highlighted by London’s Silver Cross Mother Mrs. Carolyn Wilson laying the first wreath. Mrs. Wilson lost her son Trooper Mark Wilson in Afghanistan in 2008. Though I did not serve in time of war I feel it is my duty to honour those who did. It is indeed a privilege to chair this committee.